Daniel N. Walter was born in 1837 in Reckendorf, Bavaria. Early in his life, Daniel N. Walter came to the United States, where he lived in Albany, New York while pursuing studies with Dr. Isaac M. Wise. After finishing school, Walter headed West to California. 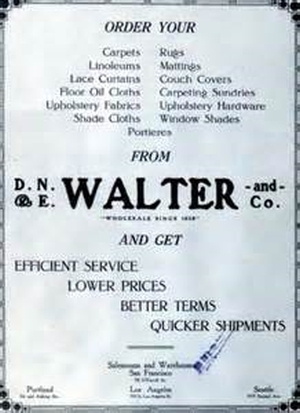 Daniel N. Walter opened a Home Furnishing business in San Francisco. In 1858, he and one of his nine younger brothers, Emanuel Walter, formed a partnership called D. N. & E. Walter. As the business thrived, Daniel brought other brothers to California to work in the firm: David Nathan, Emanuel, Isadore, Herman, Moritz, and Isaac Walter. The company established itself as an important wholesale and retail firm, specializing in carpets and furnishings for the burgeoning San Francisco market. A branch store soon was opened in Portland, Oregon in 1865. Other branches were opened in Los Angeles, Salt Lake City, Fresno, and San Diego. D. N. & E. Walter & Co. filed its Articles of Incorporation in the State of California in 1896, and the corporation is still active. Daniel N. Walter served as a director of the German Savings Bank and the California-Nevada Bank, which eventually became the Wells Fargo Bank. Walter was a member of Temple Emanu-El. Daniel Walter married Hannah Smith in 1862. Together, they had 4 children: Clarence, Mrs. Moses Heller, Mrs. Abe Meertief, and Herbert. David N. Walter died in 1900. 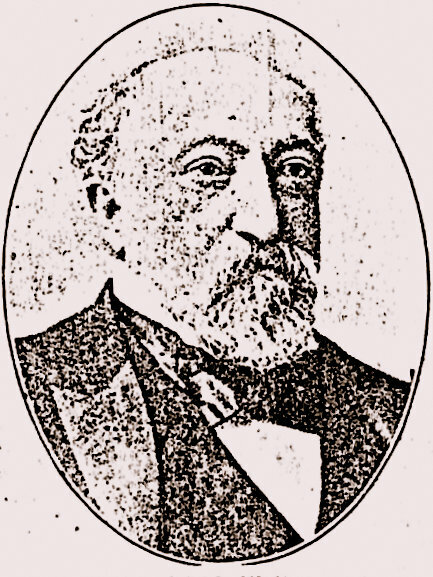 Norton B. Stern, “Daniel N. Walter: Home Furnishing Merchant of San Francisco,” Western States Jewish History 41/2. Samantha Silver is curator of this Daniel N. Walter exhibit. 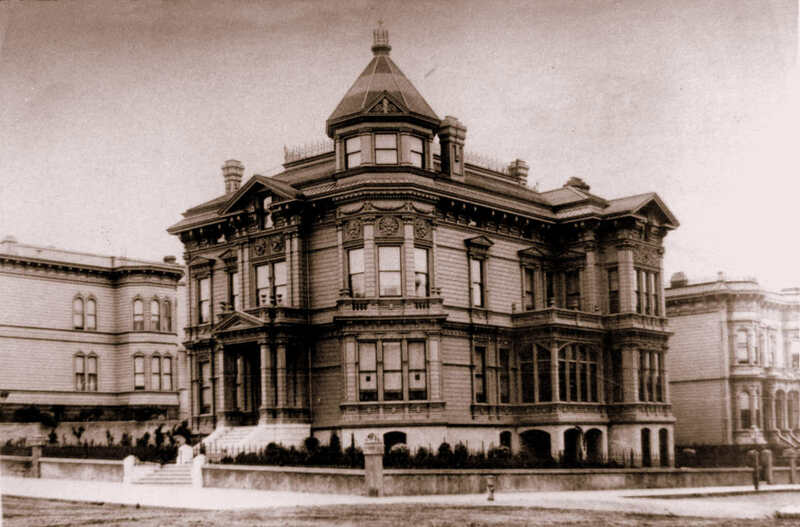 Whilst New York has made rapid advances in its palaces for mercantile business, San Francisco, more moderate, has not made an unequal progress, considering her population. Within a few weeks past, a row of five three-story and basement brick stores, each 38 feet front by 124 feet, situated on the west side of Battery Street, between Pine and California, have been occupied by some of our most wealthy firms. The buildings themselves would be considered ornaments to any Atlantic city, and they certainly reflect credit on our own, being ornate yet tasteful in appearance and constructed to suit the exigencies of mercantile trade. Commencing from California Street the first store is occupied by Messrs. Lazard Freres, one of the largest French houses in the country, and the agents of the Mission Woolen Mills. The store No. 113 is occupied by Manheim, Schonwasser & Co., importers of millinery goods. Adjoining, No. 111, J. Seligman & Co., the oldest and largest dealers in ready-made clothes on the Pacific Coast. No. 109 is occupied by Messrs. Godchaux & Co., a large dry goods and silk importing house. The light of these stores is so admirably arranged that in any part of the building an equal show can be made. No. 107 is now being prepared for the occupancy of the dry goods house of William Taaffe. The cost of these buildings, exclusive of the value of the land, we are informed was $120,000. The above block was erected by Michael Reese, a co-religionist, and all the stores but one (Mr. Taaffe’s) are occupied by co-religionists.